Home / Latest TBV News / Bombora Downs arrives at Premier big time! Bombora Downs arrives at Premier big time! Bombora Downs’ Christoph Bruechert is excited to be presenting their most significant draft of yearlings from their Bitten property at the Inglis Premier Sale with a selection of 17 horses, showcasing four yearlings in Book 1, and 13 yearlings in Book 2. Looking at the draft, Bruechert identifies the strengths across his solid group of yearlings. While other quality types that may fly under the radar include the Turffontein, out of Rub Doubt (Lot 728). 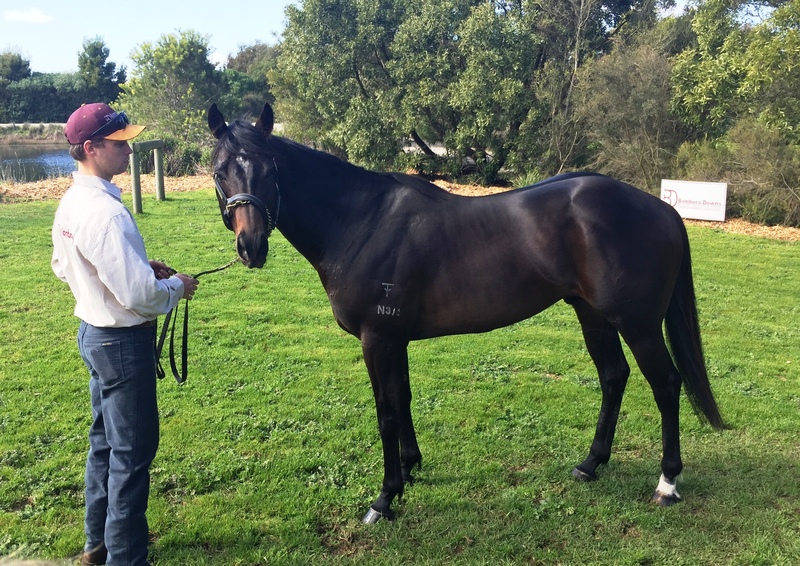 “The Bullet Train x Jessepic (Lot 646) is a big strong horse and a tremendous physical type, while the Smart Missile x Ryvnine (Lot 731) is also a well-grown yearling, very balanced, that moves with a lovely smooth action. Rounding out the team, his Warhorse (NZ) x Tiger Belle colt (Lot 777) is undoubtedly one of Bruechert’s favourites. The handful that went through the ring last year sold well, with a Premier Warhorse yearling making $97,500, while another of his colts destined for the Ready to Run sale later this year, is a half-brother to the Group 1 winner Sopressa. Pakenham based Jason Bridgeman who trained Warhorse himself, has three in his stable, and is very excited about the future. For prospective buyers interested in inspecting the draft before the sales, Bombora Downs yearlings will be paraded on farm on Tuesday 19th February 10.45 am. Inglis is arranging a bus from Mornington Racecourse to take people around the various Mornington Peninsula vendors, so please contact Inglis for further details and bookings. At the Oaklands complex, Bruechert welcomes inspections from lunchtime on Wednesday 27th February.